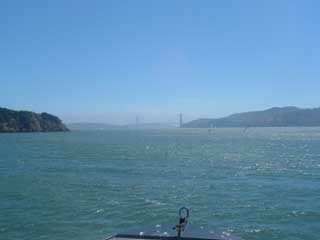 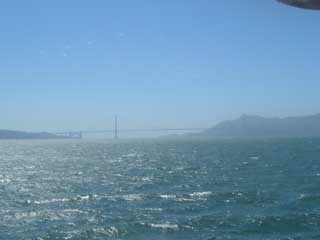 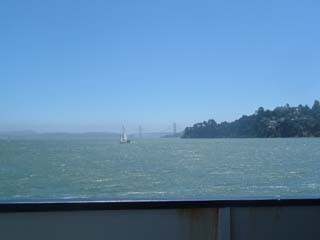 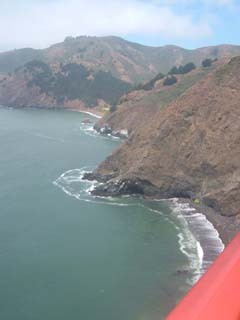 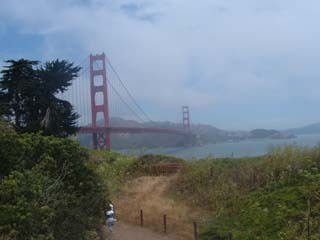 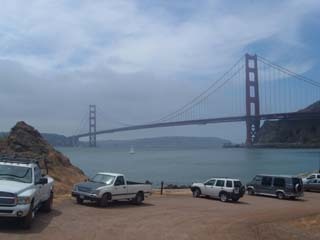 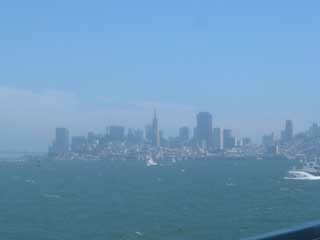 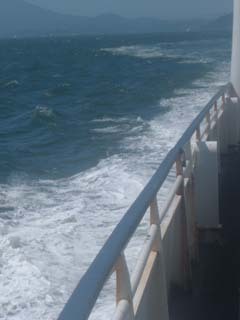 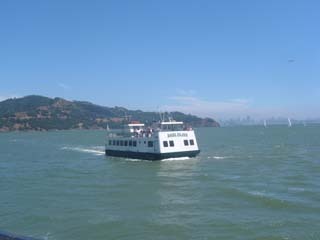 One day I decided to ride across the Golden gate bridge and then return via ferry from Tiburon. 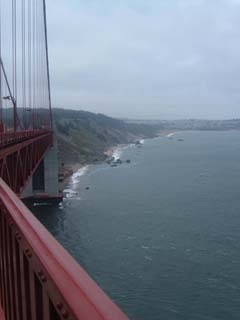 It's a nice ride, mostly flat on the other side of the bay. 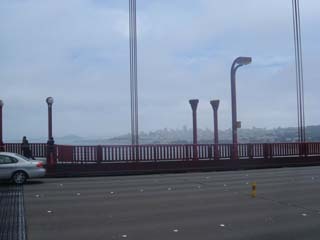 On the SF side, and also immediately across the bridge, it's very hilly. 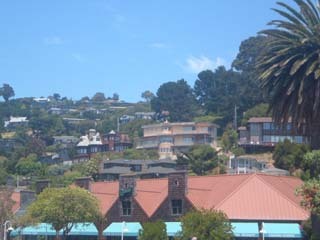 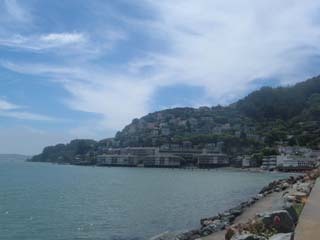 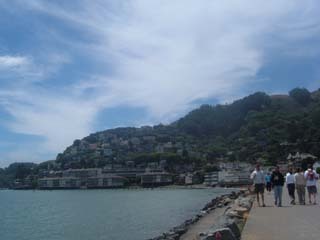 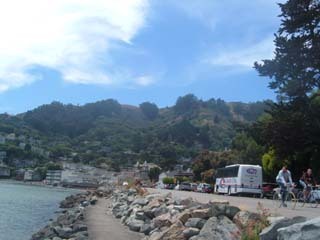 After passing through Fort Baker, I found myself in the pretty little town of Sausalito. 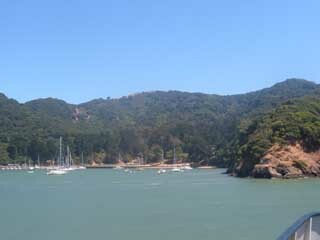 A flat ride around Richardson Bay, probably between 5 and 10 miles, brought me to Tiberon, where I had almost an hour wait for the ferry. 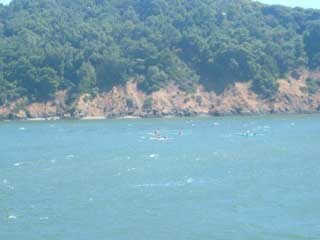 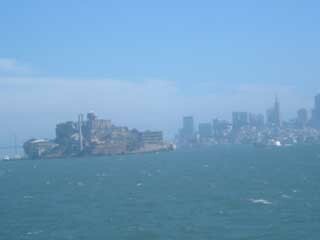 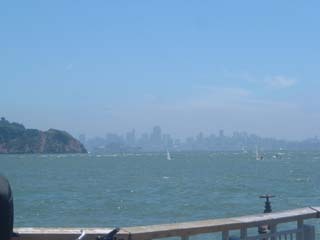 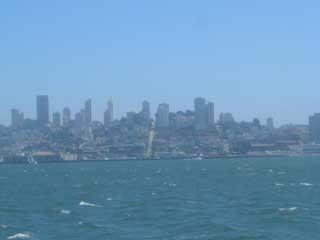 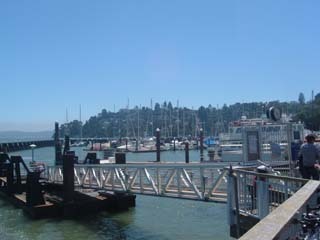 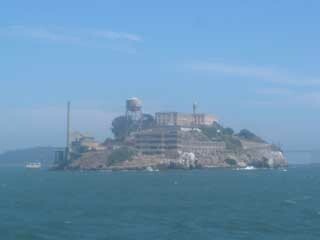 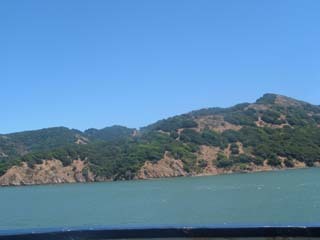 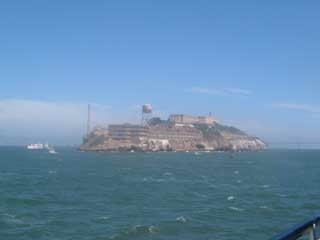 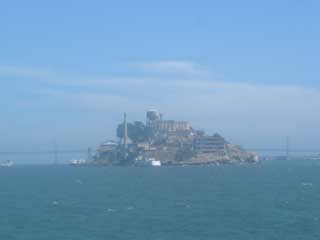 We made a stop at Angel Island before buzzing Alcatraz island on the way back to the touristy Fisherman's Wharf area. 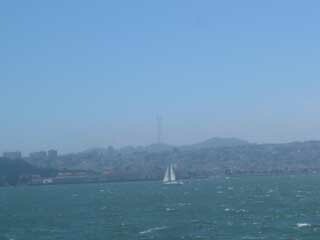 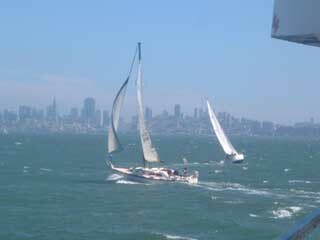 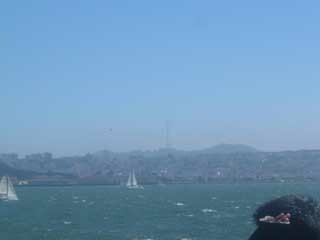 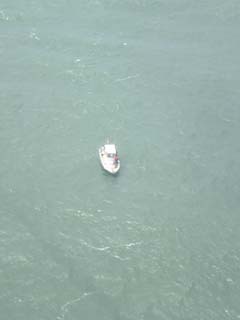 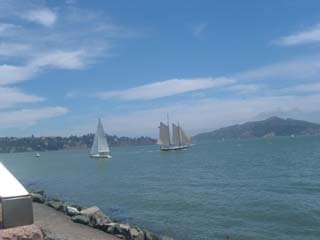 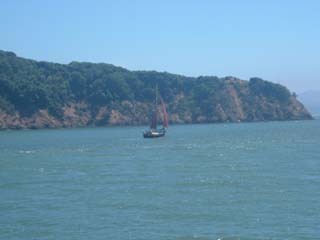 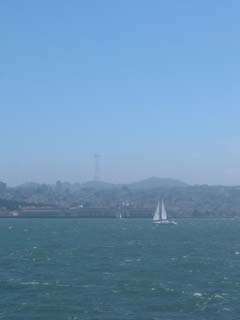 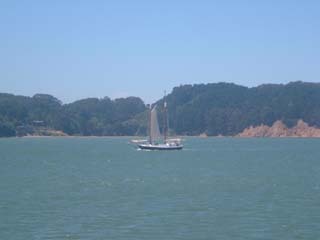 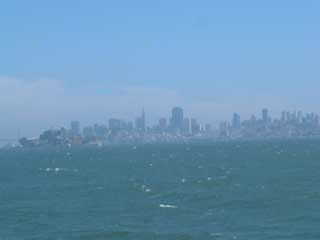 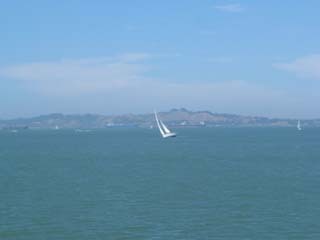 Many boats were out, sailing on the strong SF Bay breeze. 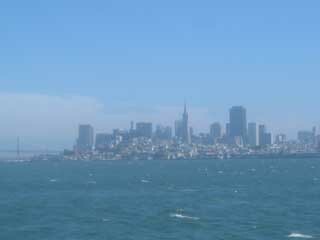 wow that's it! 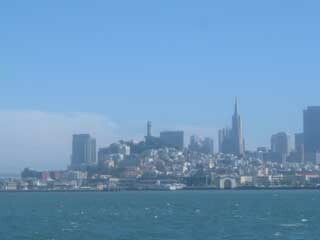 Thus, I made it back to SF. 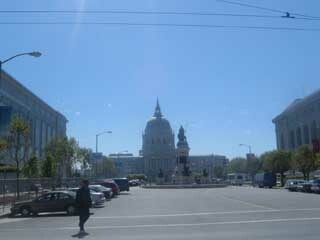 A little later I found the United Nations Plaza. 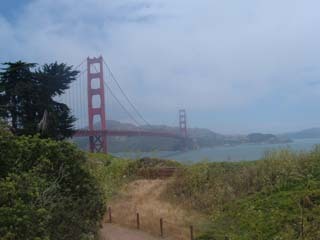 It seemed I must have been by it before but somehow or another it slipped by my notice, until this time. 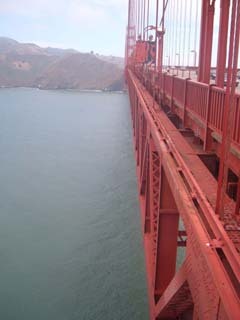 Pretty hard thing to miss really. 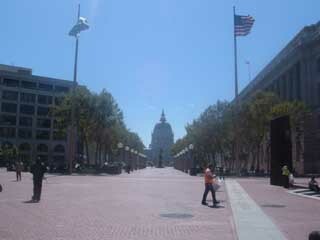 Well actually I may not have taken Market St from the northeast this far down. 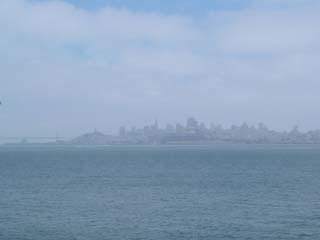 Maybe it's easier to miss when you're coming from the southwest.